This is an adventurous trip. It is very fun, but it is definitely a trip where you are exposed to the elements and can get dirty, sweaty and, tired. 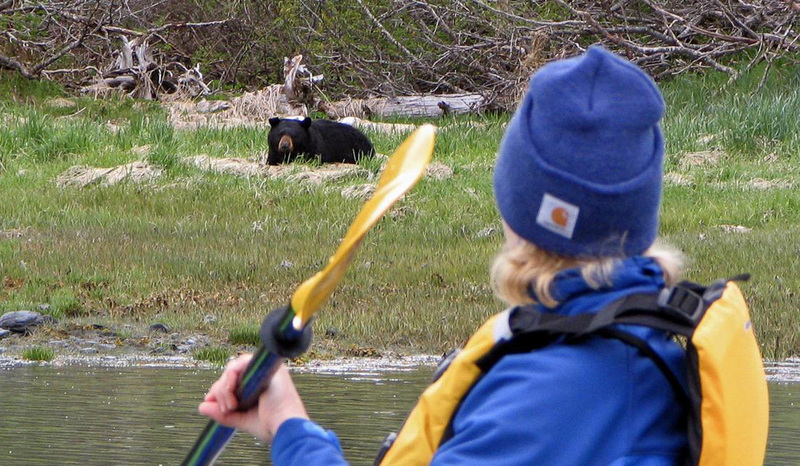 Paddlers should be comfortable spending almost the entire day actively paddling in a kayak. 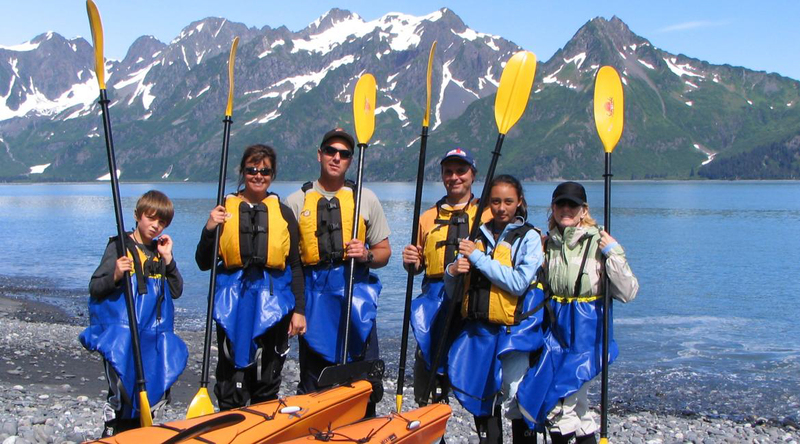 This super fun trip offers guided kayaking from Seward's doorstep along the coast of Resurrection Bay. Hike up to a hidden waterfall, and enjoy an optional hike up to an abandoned WWII fort halfway through the day. 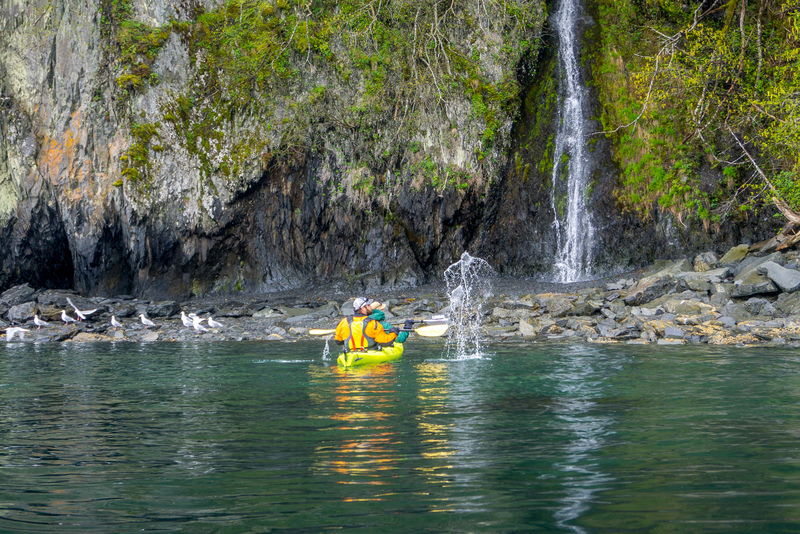 See what lies beyond the next cove as you paddle your sea kayak a bit further into Resurrection Bay. 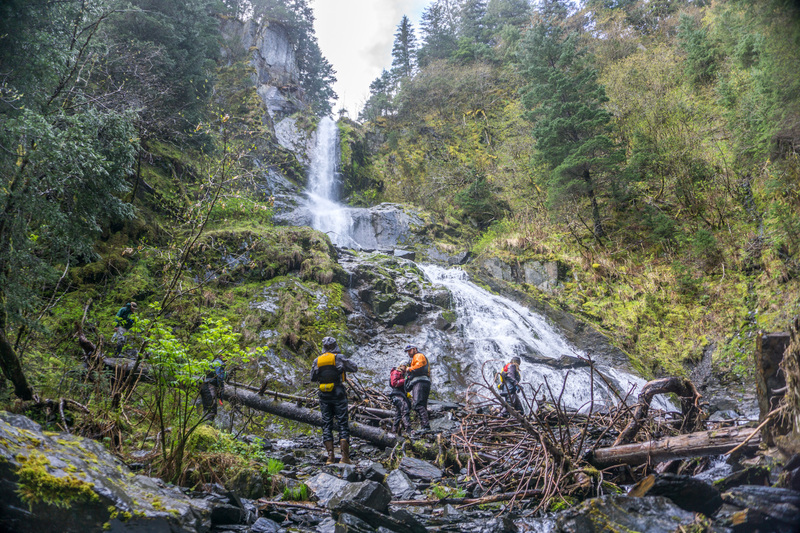 We’ll stop and walk a short, forested trail to a cascading waterfall, identifying the wildflowers as we go. 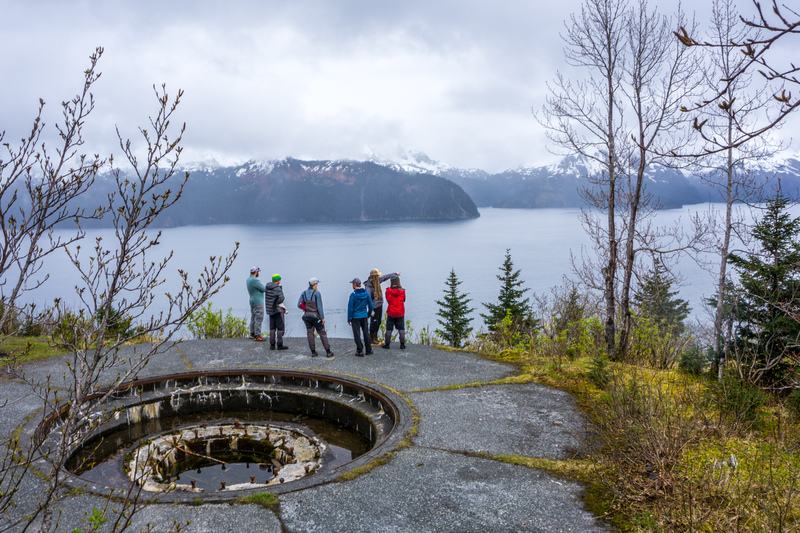 Next, on to North Beach and if time allows, we’ll hike to historic Fort McGilvary and explore the maze of underground passages in this abandoned WWII bunker. 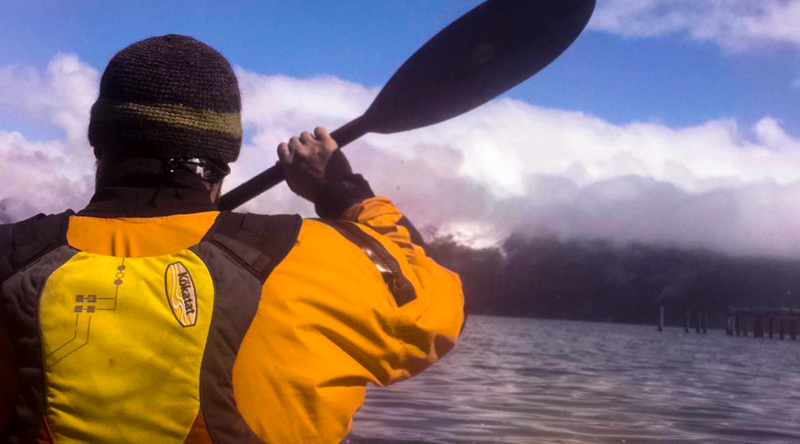 After lunch, jump back into the kayaks and learn about the alpine glaciers and captivating sea birds that you’ll see on our return. 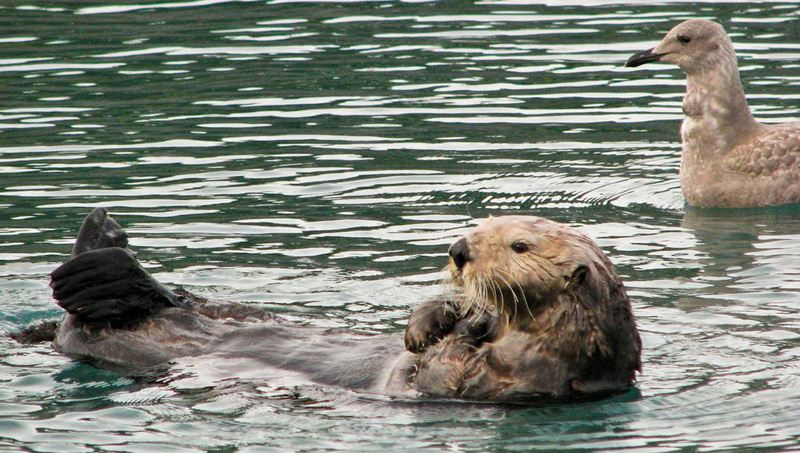 Share the ocean waters with comical looking puffins, leaping salmon, Stellar sea lions and more. ​Total trip time is about 7hrs from start to finish (approximately). Roughly 5.5 hours are spent paddling. Remember; you are on water! You are ultimately responsible for keeping your awesome camera gear dry! A waterproof rain layer is essential for this trip. It's important to bring comfortable and warm clothes to wear to ensure that your experience is as pleasant as possible. We highly recommend that you avoid wearing cotton or denim layers. From our office, we hop into one of our vans and take a scenic drive through the historical town of Seward and out along the coastal road to Lowell Point. This van ride takes about 15 minutes, and we frequently see otters, eagles, and see lions along the way. Hop in our van for a quick ride from our shop in the harbor down to the beach on Lowell Point. A maximum of 13 clients are in the van at a time. Please note that the maximum group size for this trip is 10, but there may or may not be clients from our half-day trip in the van on the way out. The ride in the van is roughly 15 minutes each way. The exact time depends on the condition of the dirt road to the beach.